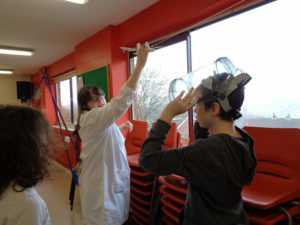 The Pocket Science Festival a touring initiative connected to the Brighton Science Festival, visited Hollingdean on Saturday 17 March 2018. To make this event possible, CASE Central liaised with the Festival and hired the hall at the Hollingdean Community Centre. We also publicised the event in the local area, as well as on the Internet. This exhibition has been designed to give children and adults direct experience of how gravity, electricity, friction, optics work. 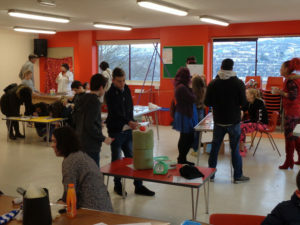 On 17 March the Festival volunteers came to Hollingdean at 9.00 in the morning to set up tables and installations for the event. 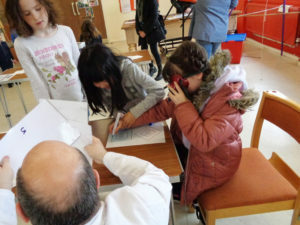 From 11.00 to 4.00 nearly 70 young and less young guests were free to visit the tables, to make exciting experiments. Science is not boring, it’s fun… And ‘fun’ was indeed the word which eventually appeared most frequently in our monitoring forms! During the day we had nearly 70 guests, the majority of them children. This attendance was remarkable considering the snowy weather. 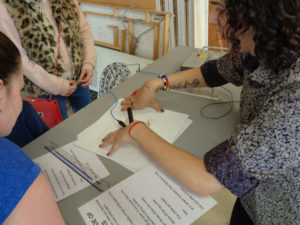 Words used by the guests at the end of the visit included: ‘unexpected, fascinating, fun, engaging, accessible, awesome, fantastic, inspiring, relaxed…’. 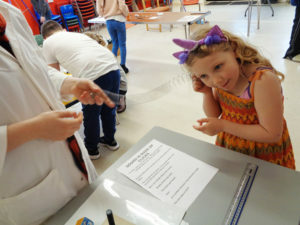 Feedbacks included: ‘Made me happy’ (4 year old), ‘Kudos to CASE for hosting this event’, ‘Wonderful event to promote science to families and children’, ‘I really enjoyed this event, especially splat the rat and the illusions’, ‘It was lovely to see what science does to your brain’, ‘Had to come, didn’t want to miss out’ and ‘Would love to see it again’. 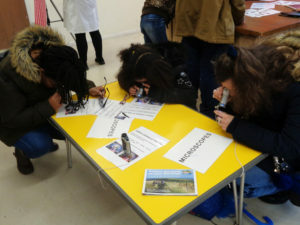 CASE Central is glad of having host this event, and to have given children from Hollingdean the opportunity to explore nature, and think scientifically. In a ‘post truth’ era, when even nonsensical statements are immediately believed by thousands of people without a question, science is more than ever needed. Science is not based on making statements, it is based on questioning statements – by making experiments. Our guests may not remember much about the scientific words heard during this day but we hope they have walked out of the hall with renewed love for science – a humble form of knowledge, and still the truest and most effective. Sadly, just a few days before this event, we have heard about the death of one of the greatest British physicists, Stephen Hawking, a reknown expert of cosmology. 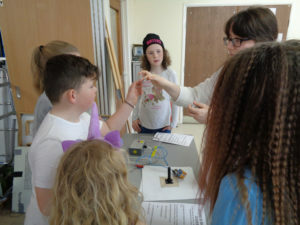 But, with the effort of an army of science lovers, like the volunteers of the Brighton Science Festival who came to Hollingdean today, there will be a new generations of young scientists around… in no time! We thank the volunteers of the Brighton Pocket Science Festival for their enthusiasm and their hard work. It is very difficult to communicate with people about science without coming out with mind blowing, complicatedm words or big formulas! 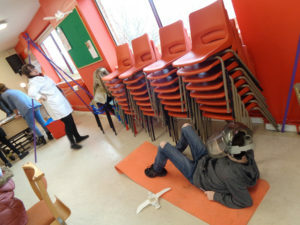 We are also very grateful to our Trustee and fundraiser Felton for his love of astronomy and science which inspired this initiative, and for liaising with the Festival on behalf of CASE. Many thanks also to our Trustees, volunteers and day helpers Felton, Ros, Stevie, Sarah, Maggie, Kieran, Hannah, Paul and Paulie for having publicised the event and welcomed people on the day. At the end of their visit a few parents told us that they hoped this Festival would happen again. And so we!